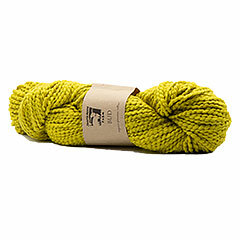 Bud Yarn by Juniper Moon Farm is a beautiful Organic Peruvian Cotton. This textured, chunky weight cotton knits up quick and easy into cozy sweaters, jackets, shawls, hats or any quick-knit project you can possible think about. Gauge: 3 - 3¾ sts per 1"
Form & Farbe Yarn by Zitron is a bulky weight, 100% Extrafine Superwash Merino Wool. This lightly spun yarn is super soft and lofty. A great yarn for cowls, slippers, hats, scarves and any bulky projects! Gauge: 1 3/4 - 2 sts per 1"